Donald Marcus Kelway Marendaz was born on 17th January, 1897, at Margam in Glamorgan. His family were descended from Swiss immigrants of Portuguese origins who arrived in South Wales in the mid-1700s. He attended Monmouth School, where he watched the early ballooning of C S Rolls. He was a second cousin of the poet Edward Thomas. After leaving school he was apprenticed to the motor manufacturers Siddeley Deasy in Coventry, leaving in November 1916 to join the Army where he served in the Royal Flying Corps. Having been trained on Farmans he joined No.35 Squadron in France flying the Armstrong-Whitworth F.K.8 on spotting duties, being involved in the Battle of Cambrai in November 1917. He was invalided back to England early in 1918, married Dorothy Robinet Evans and continued his service career in the Coventry area, being demobilised from the RAF in April 1919 at the rank of 2nd Lieutenant (Pilot Officer). He rejoined Siddeley Deasy but left again before long to follow T.G. John with his newly formed company that was later to become Alvis. 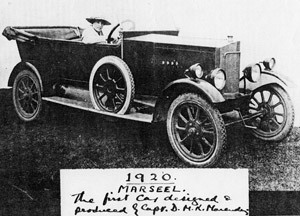 Once again he moved on to form the Marseel Engineering Co., also in Coventry, in conjunction with Charles Seelhoff, although Seelhoff had left by early 1922, the company name reflecting this, becoming Marseal. Around 550 Marseal cars were built but with increasing difficulties in the industry such as declining profit margins Marseal Motors closed in 1924. By this time Donald Marendaz was father to three daughters but, significantly, also had Dorothy Summers working in his office. As an adjunct to selling Marseal cars, Donald Marendaz began to promote them through competitive events. He first appeared at Brooklands in 1922 and was a consistent entrant in trials and track races through until the mid-1930s. 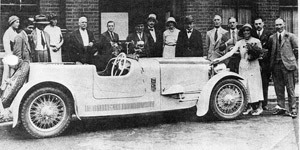 After a short time working at the Stock Exchange, together with a move to London he restarted car production in premises at 1-3 Brixton Road, Kennington, the marque being called Marendaz Special and with a radiator badge similar to the Marseal cars and based on the Royal Flying Corps wings. The cars were attractive and sporty, powered by a four-cylinder Anzani engine. Exact production numbers aren't known - probably around 30, of which there is only one survivor today. His establishment also offered tuning services and the cars were frequently seen on the track at Brooklands. In 1931 Donald Marendaz developed a new model of which at least five were built in London before he moved his establishment to the Cordwallis Works in Maidenhead. The cars were powered by a 1869cc straight six engine, actually a heavily modified and linered-down American Continental engine, although when the supply of these dried up he re-manufactured an identical version. 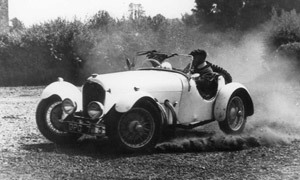 In 1935 a further model was introduced powered by a Coventry-Climax 1991cc six. In all, around 60 six-cylinder cars were built which, together with around 30 earlier four-cylinder cars gives an overall production for the marque of no more than 90. Donald Marendaz is remembered mainly for his active sporting and record breaking efforts. 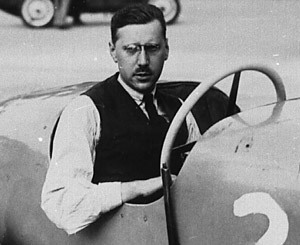 He held two 24hour class records in the late 1920s, plus a third obtained on a Graham-Paige car, a marque for which he was agent. A Marendaz Special ran in the 1928 German Grand Prix and also the 1935 French Grand Prix, being driven by Lord Howe. In the 1930s Aileen Moss and her husband Alfred, parents of Stirling Moss, were constant supporters of Marendaz and his cars. The employment of Dorothy Summers at the Marseal works and later in London and Maidenhead led to a relationship with Donald Marendaz. A son and a daughter were born to them. Marendaz Special Cars went into liquidation in the spring of 1936, the remaining cars and stock going to R.H. Colliers of Birmingham. Donald Marendaz's efforts were now centred on building aircraft, initially in a building adjacent to the car factory, the first aircraft, called the Marendaz Mk. III, being destroyed in a fire at this works in June 1937. This precipitated a move to Barton-in-the-Clay, Bedfordshire where a second aircraft was built, followed by the Marendaz Trainer. Notwithstanding the major re-armament activities of the period this aircraft was not selected for military use. 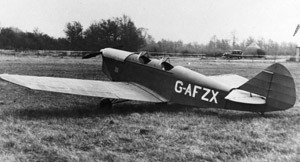 Donald Marendaz was also owner of the Bedford School of Flying, who undertook training at Barton-in-the-Clay and nearby Eaton Bray with D.H. Moth and Avro Avian aircraft. With the outbreak of war and given Donald Marendaz's political leanings he was detained under Category 18B Regulations in June 1940 for a short period, and thereafter took no part in events other than to write a book on 'How to Fly'. The effects of the Bedford School of Flying and Marendaz Aircraft were sold off in December, 1940. After the war he concentrated his energies on fine art but eventually emigrated to South Africa where he started a tractor factory. This was unsuccessful and as a result of further legal and political embroilment he elected to return to retirement in Lincolnshire in 1972, where he died in November 1988, aged 91.